Eleven months ago the New York City Health Department issued an unusual Statement On Avian H7N2 In Cats at a Manhattan animal shelter. While cats are known to be susceptible to avian (and some novel) flu strains (see Catch As Cats Can) this outbreak was remarkable due to its size (initially involving 45 cats), its location (NYC), and the virus involved - a relatively uncommon avian LPAI H7N2 virus not reported in the United States in years. Within a week, the story had escalated when - three days before Christmas - the NYC DOH released a statement announcing a mild Human H7N2 Infection in a veterinarian who was treating sick cats. Additionally, the number of infected cats had doubled to 100, and was reported across multiple animal shelters in the area. Eventually that number would grow to 450 (see January 13th NYC DOH Update On H7N2 In Cats), although no additional human cases were reported. While this outbreak was contained, it is worth noting that at the same time this was happening, we were following reports of HPAI H5N6 in cats in South Korea (see Korean CDC Statement On H5N6 In Cats). They did note the virus replicated with increased efficiency in human bronchial epithelial cells over previous H7N2 strains tested, and were better adapted to using a lower pH for HA activation, similar to seasonal flu viruses. Among their discoveries, they found the human H7N2 virus bound to both α2,6-linked (mammalian) and α2,3-linked (avian) sialic acids, an important trait for any species jumping avian flu virus to acquire. While currently appearing to have only low virulence in humans, H7N2's ability to spread rapidly in cats, and reports of ongoing evolutuionary adaptation to mammals, makes it a virus well worth keeping our eyes on. I've only included some excerpts, so follow the link to read the Dispatch in its entirety. When you return, I'll have a brief postscript. An outbreak of influenza A(H7N2) virus in cats in a shelter in New York, NY, USA, resulted in zoonotic transmission. Virus isolated from the infected human was closely related to virus isolated from a cat; both were related to low pathogenicity avian influenza A(H7N2) viruses detected in the United States during the early 2000s. Avian influenza viruses occasionally cross the species barrier, infecting humans and other mammals after exposure to infected birds and contaminated environments. Unique among the avian influenza A subtypes, both low pathogencity and highly pathogenic H7 viruses have demonstrated the ability to infect and cause disease in humans (1,2). In the eastern and northeastern United States, low pathogenicity avian influenza (LPAI) A(H7N2) viruses circulated in live bird markets periodically during 1994–2006 (3) and caused poultry outbreaks in Virginia, West Virginia, and North Carolina in 2002 (4). During an outbreak in Virginia in 2002, human infection with H7N2 virus was serologically confirmed in a culler with respiratory symptoms (5). 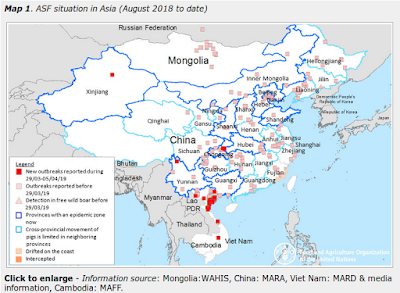 In 2003, another human case of H7N2 infection was reported in a New York resident (6); although the source of exposure remains unknown, the isolated virus was closely related to viruses detected in live bird markets in the region. Because of the sporadic nature of these and other zoonotic infections with influenza H7 viruses throughout the world, the World Health Organization (WHO) recommended development of several candidate vaccine viruses for pandemic preparedness purposes, including 2 vaccines derived from North American lineage LPAI viruses, A/turkey/Virginia/4529/2002 and A/New York/107/2003 (7). The circulation of an influenza A(H7N2) virus at the animal–human interface, especially among common companion animals such as domestic cats, is of public health concern. Moreover, from an epidemiologic perspective, it is essential to understand the current distribution of LPAI A(H7N2) viruses in both avian and feline hosts. The US Department of Agriculture and state departments of agriculture have conducted routine avian influenza surveillance in live bird markets; 132,000–212,000 tests for avian influenza were performed annually during 2007–2014 (15), but LPAI A(H7N2) viruses were not detected. The acquisition of many genetic changes throughout the genome of the human and cat H7N2 viruses we report, however, suggests onward evolution of the virus since it was last detected in poultry and wild birds. We found that the human virus bound to α-2,6–linked sialic acid receptors, which are more common in mammals, yet retained α-2,3–linked sialic acid binding, indicating that it has dual receptor specificity; this information can be used in pandemic risk assessment of zoonotic viruses. Although human infections with LPAI A(H7N2) viruses have occurred previously, we know of no other reported instances of direct transmission from a cat to a human. Dr. Marinova-Petkova is a microbiologist with the Influenza Division, National Center for Immunization and Respiratory Diseases, Centers for Disease Control and Prevention, Atlanta, Georgia, USA. Her research interests include studying influenza viruses at the animal–human interface, influenza virus evolution, and animal models for risk assessment of zoonotic pathogens. Until relatively recently (2004) dogs and cats were both viewed as being relatively immune to influenza viruses. That began to change in 2004 and 2005 when equine H3N8 was detected in dogs, and avian H5N1 began to show up in both dogs and cats in Asia. While we worry primarily about birds or swine producing the next pandemic virus, we can't discount the possibility of being blindsided by a virus coming from another host species. Dogs, cats, seals (and other marine mammals), horses, bats, and a variety of peridomestic animals (rabbits, skunks, mink, etc.) - even cattle - have all been found to carry flu viruses.